Home of the RFAC Dance Rep. Put the fun and enjoyment of dance in your life! Looking for a wholesome, healthy, happy place to enjoy learning to dance? Since 1959, thousands of boys and girls have enjoyed learning, performing and dancing at Toby’s. Many have gone on to become professional dancers on Broadway and with other performing companies, such as the Kilgore Rangerettes. Others have received dance scholarships from prestigious college programs. Ballet produces a beautiful, strong, flexible, and healthy body that results in good posture and grace. Modern Dance is a free-form style, based on fundamental modern techniques of emotion. Contemporary Dance is a combination of ballet, modern and jazz techniques. Being a Ballet student is an exciting artistic journey with many benefits! Proper Ballet training produces a beautiful, strong, flexible healthy body that results in good posture, grace, and poise. 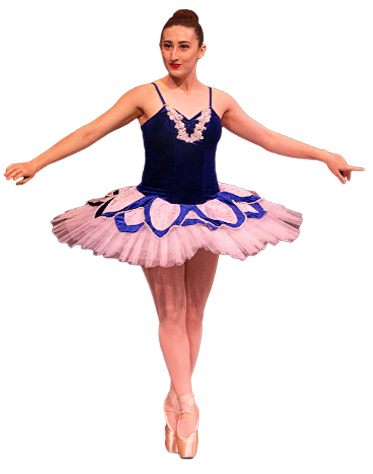 Ballet training instills discipline that enables the Ballet student to be successful in many other aspects of their life. Modern Dance is free-form style, based on fundamental modern techniques that are intertwined with the dancer’s own interpretation of emotion and expression. Dancers are encouraged to develop their own steps and routines, involving their whole body for complete expression. Jazz provides even more free, rhythmic, and emotional expression than Modern dance. Jazz dance is unrestrictive, non-classical, and less academic than ballet. Contemporary Dance is a combination of ballet, modern and jazz techniques. This is a unique dance style demonstrating versatility, improvisation and concert dance styles presented in combination with modern or pop music. Our daughter loves taking dance at Toby's. The teachers there bring out the inner dancer in us all. Our daughter's dance skills have blossomed while at Toby's. The teachers give the dancers such encouragement. Ms. Sally has been an exceptional teacher for my daughter. She's nurturing and professional, while also expecting a lot from her dancers. She teaches her students many life lessons as they grow in their dancing abilities. A brilliant teacher!